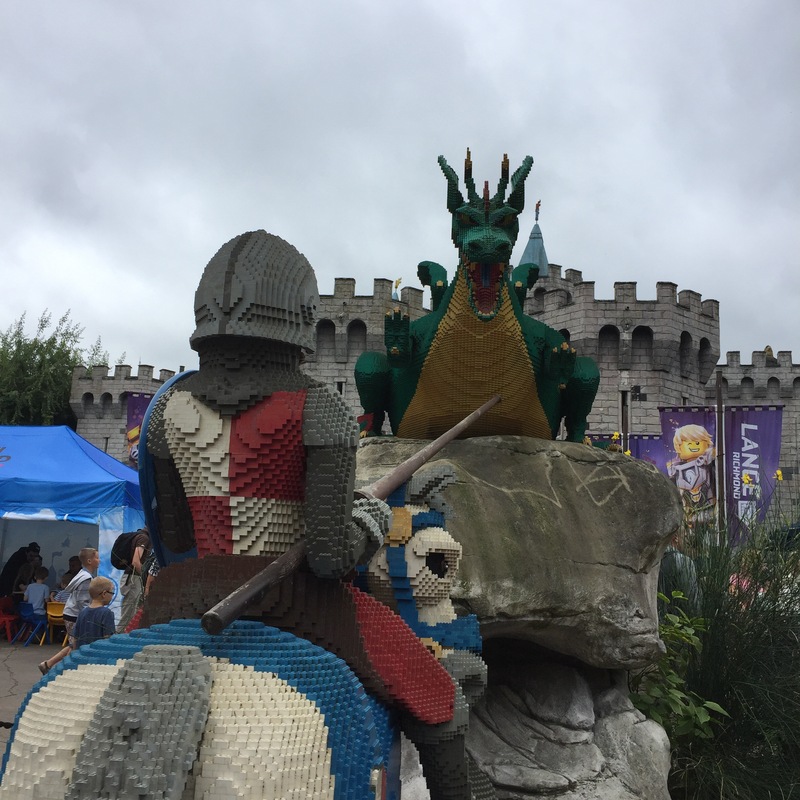 Friday 2nd September, the last day of the school summer holidays and everyone else had the same idea as us, to go to Legoland, Windsor. The queues were epic (averaging 70 minutes across the park) and with a three year old and an under one in tow, it just wasn’t fair to make them queue that long. 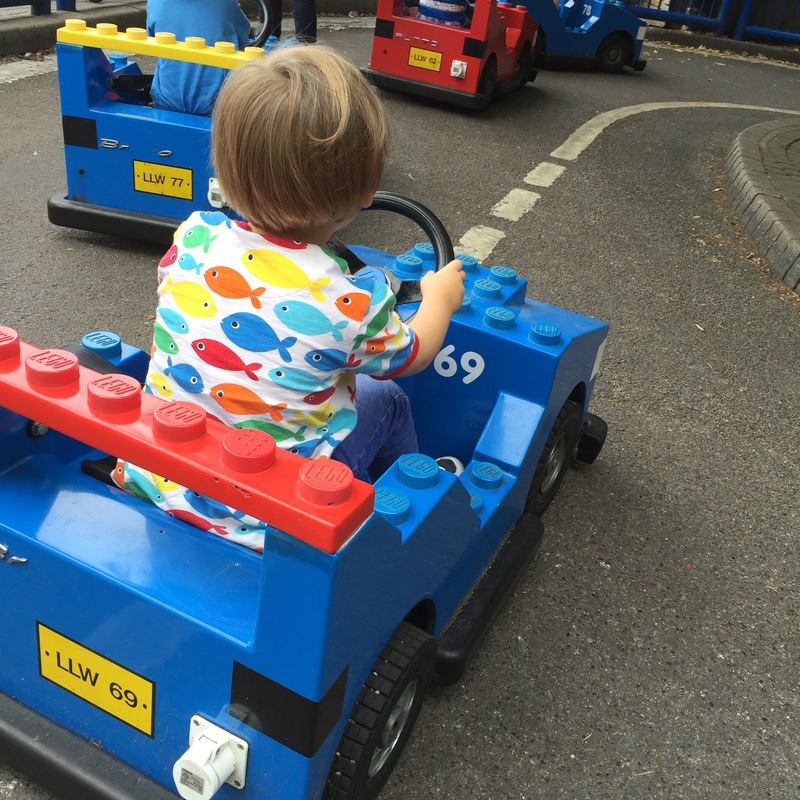 We did queue for one thing – the mini learner drivers school that we had queued up for last year, before being told that he was too small to ride. This time, he was big enough and so proud to be driving a real car! He had a bit of trouble on the corners, but was absolutely brilliant at going in a straight line… That’s pretty much 50% of the DVLA requirements I guess and, besides, he has another 14 years to practice. One very happy boy indeed! After that, we navigated the app to see where would be suitable for both tots and headed down to Heartlake City for the Pirate Show. The boys loved it! Slapstick comedy, Pirates falling in the water, baddies, goodies… what more could you ask for? With Big Brother reenacting his favourite bits, we made our way to Bricks restaurant for lunch (inside the Legoland Hotel). Last time we came we just did the pizza / pasta buffet, but Bricks (just a couple of pounds more expensive) blows the socks off that! 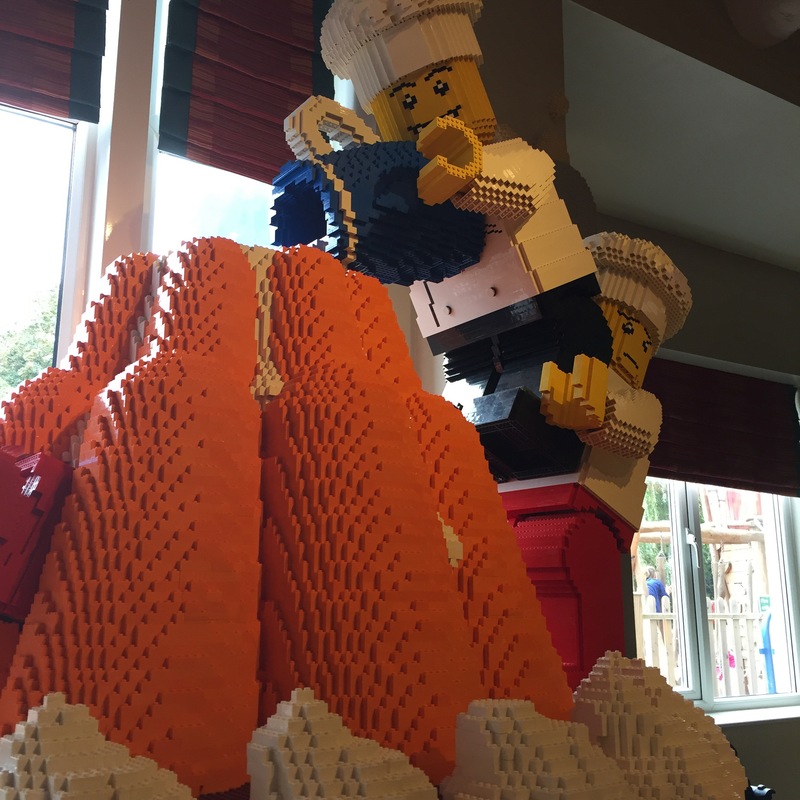 Surrounded by the most incredible Lego sculptures, diners can enjoy a fully immersive Lego experience whilst eating their lunch. Buffet choices for adults and kids were extensive, with plastic bowls and child-height counters for little ones to choose their own food and even a mini salad bar and a whole counter dedicated to fruit! Under three’s eat free there and Little Brother enjoyed a hearty selection of food for his lunch too. Just brilliant for mums & dads who don’t want to have to carry a load of food around with them all day! 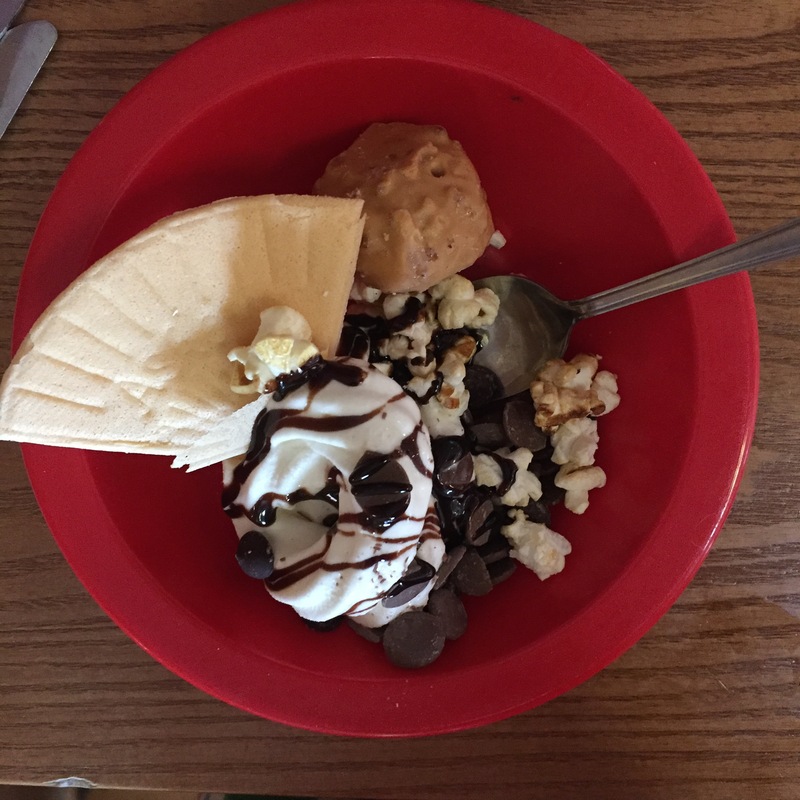 And then there were the puddings… An entire station devoted to ice-cream, popcorn, sauces, toppings and cake! Heaven! And still enough time left in the day for the three year old to burn off all that sugar. The team also provided colouring sheets of Lego mini figures and crayons – no chance of these tots getting bored over lunch! Next stop was Mini Land, to walk around the incredible miniature world that Legoland has created! 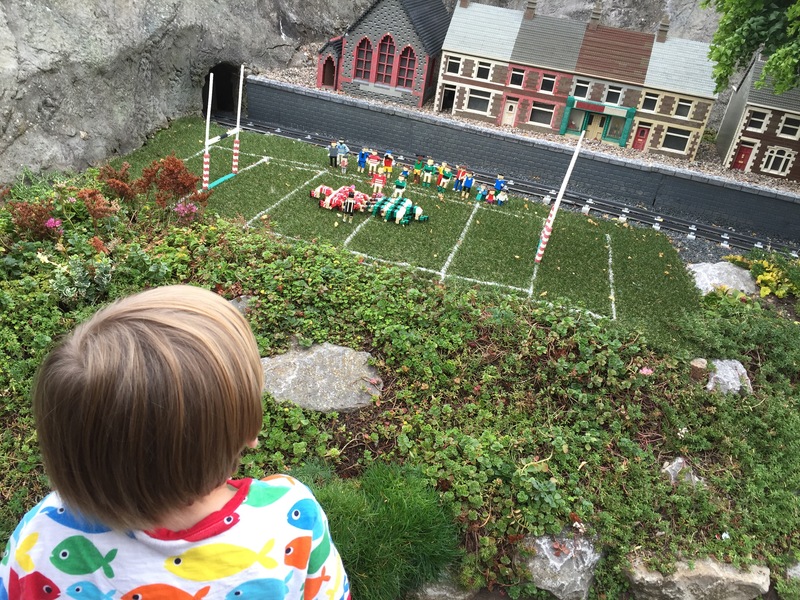 The boys were mesmerised by the working trains, trucks and boats and loved looking at all of the buildings, even though they had no idea of their significance. Queue times still hasn’t abated by mid afternoon so, despite having wanted to take them on the Atlantis Submarine ride, we headed instead for Duplo Land and its exciting adventure playground. Had the day been warmer, I have no doubt that the boys would have loved the Splash Park there too, which many of the older children were braving. 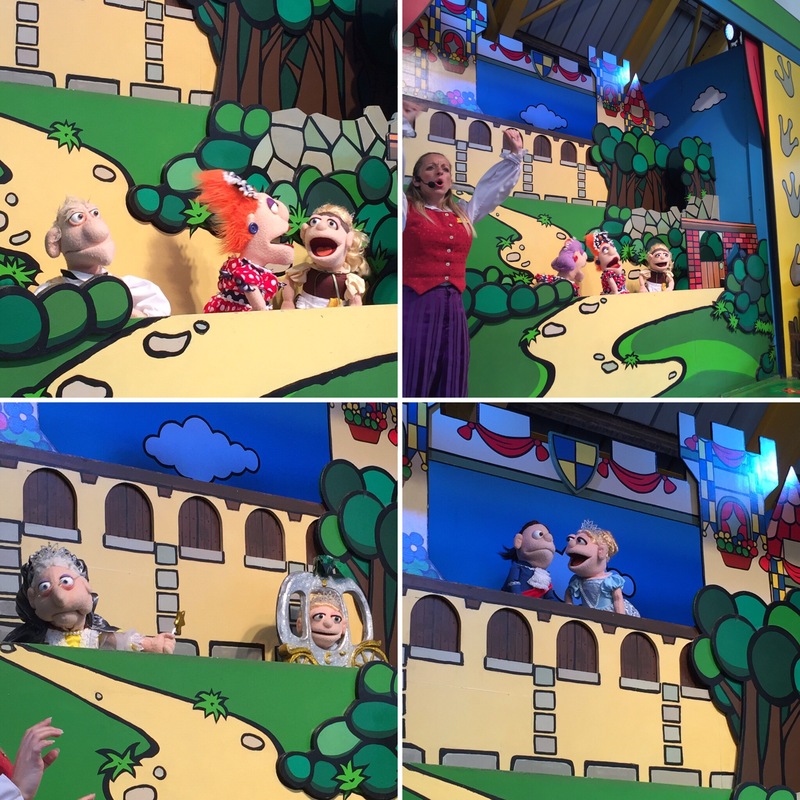 Wandering back up the hill, we stumbled across a puppet show of Cinderella, which was just about to start. Big Brother loves a fairytale and Cinderella is a firm favourite, so we settled down to watch. It was just 15 minutes long, but he was captivated. The chase scene when the ugly sisters were after Prince Charming had him up off his seat and into my arms. It was brilliantly done and a much needed pit stop for tired legs (and by that I mainly mean mine). It was almost time to go, so we headed up to the entrance. The Star Wars exhibition was right there (and had no queue) so we peaked our heads in. My boys are far too young to watch the films yet, but the experience is so interactive that my three year old started talking all about Stormtroopers, Wookies, Ewoks and Yoda (making Daddy very proud). 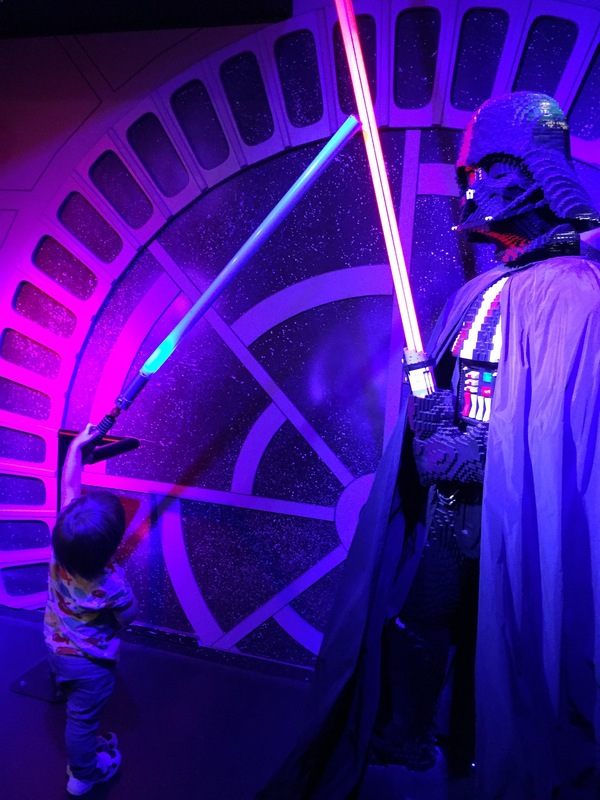 He even had a light sabre fight with Darth Vader (and accidentally turned some mini Stormtroopers into a domino rally, from which we made a pretty hasty retreat). But his very favourite moment of the day was coming face to face with his absolute hero of the moment, Buzz Lightyear! There we were in the gift shop, when I heard a shriek of excitement… and, looking up, there he was. So, our oversized double pushchair, the tots and me all squeezed ourselves into the accessible lift and shot up to the first floor to meet the Space Ranger himself. That moment, for me, was worth the price of the ticket alone. 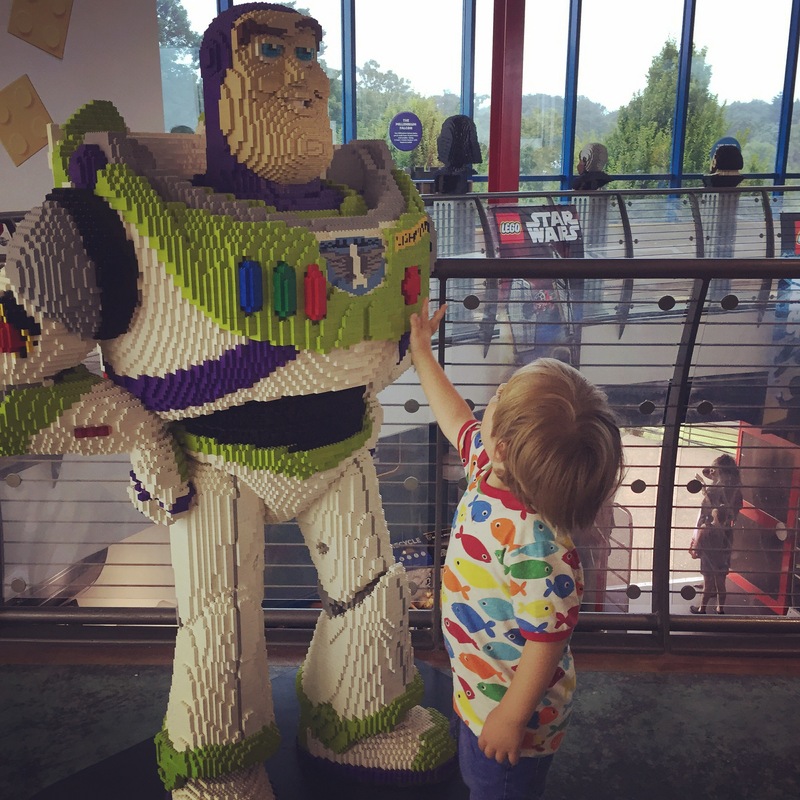 The utter elation on his face – he literally couldn’t take his eyes off of Buzz for a full 10 minutes. Seeing things through a tot’s eyes makes them so much more special. He honestly believes that he met his hero… granted, on one of his less talkative days… and that, to me, feels magical. Yes, okay, it was a bit of a shame that we didn’t do any of the rides this time, but in a way I’m also glad, because we found so many other things to entertain the tots. 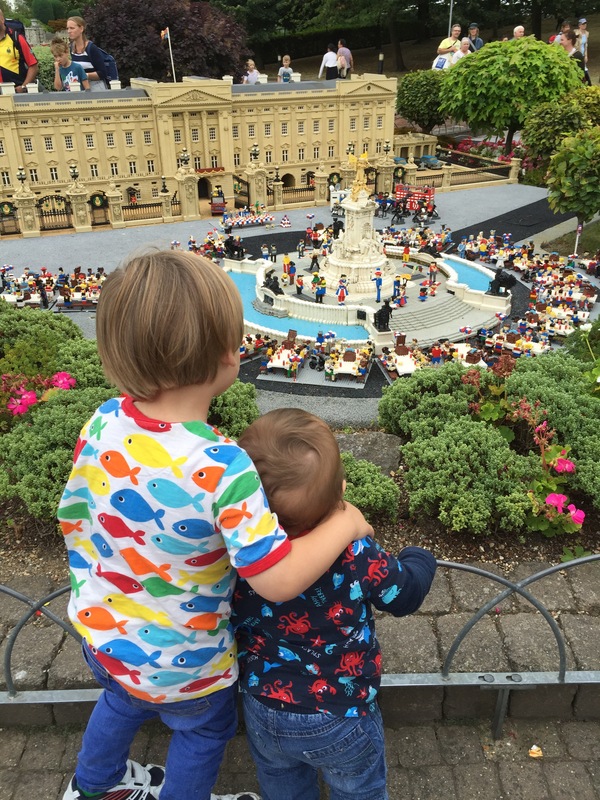 I think our time was much better spent watching puppet shows, laughing at brawling pirates falling over and marvelling at Lego creations (as well as creating some of our own in the Imagination Station), than standing in line all day. The park is vast and, despite having been twice now (last time I was heavily pregnant), we still haven’t covered it all, so we’ll definitely be back again. There is just so much to see and do that I defy anyone to spend the day there and not revert to an excitable childlike state. Around every corner is something unexpected and wonderful. 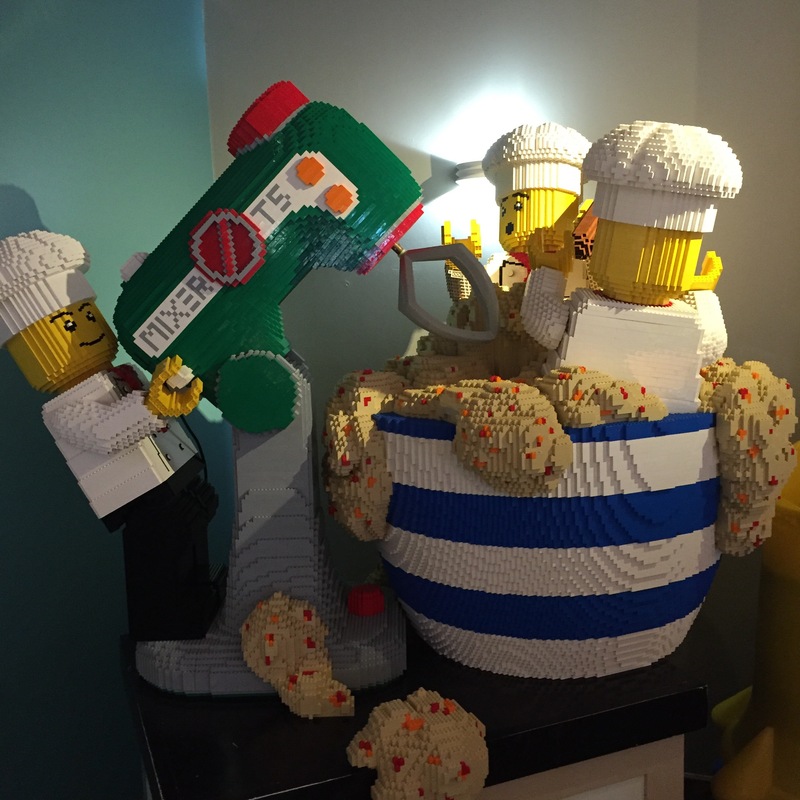 Even the humble gift shop has to be seen to be believed: a Mecca for all things Lego. 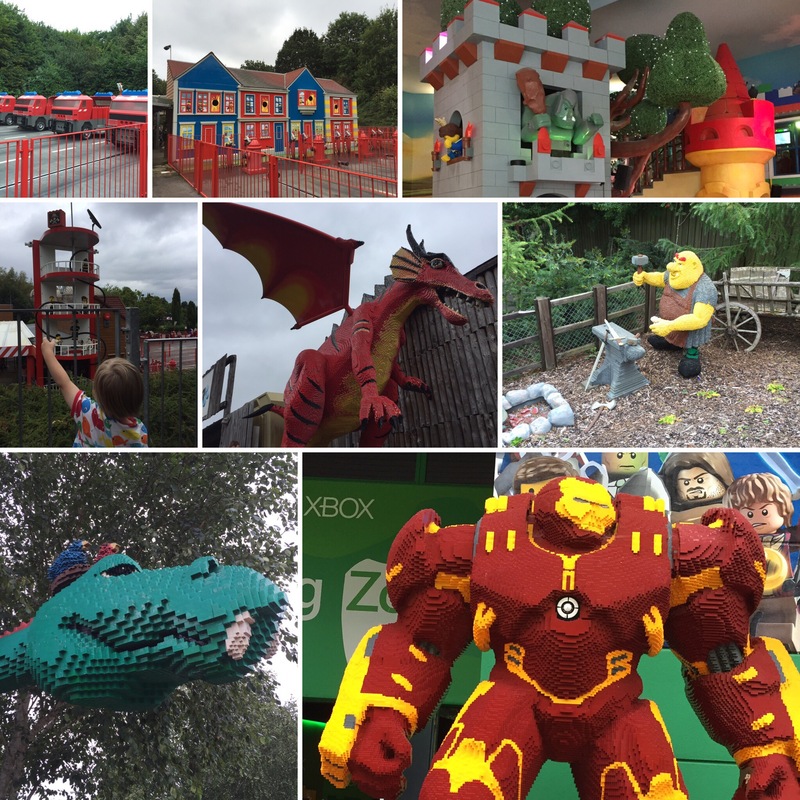 Legoland Windsor is currently offering a special Pre-schooler ticket: £25 for one adult and one under 5 (additional under 5’s cost just £5 each). Valid Monday – Friday from 6th September to 31st October 2016.